GRAND RAPIDS, Mich. (February 25, 2014) — “I just take, probably a little spoonful like this,” said Ying Woellhaf of Whitehall, as she stirred her tea. Ying and husband Raymond reach for their honey jar when they want something sweet. “We try to use honey as much as possible versus refined sugar,” said Ying. But, often the labels on that honey you’re buying may not be telling you the whole story. “This one actually says imitation honey,” said Ying, looking over a generic looking honey bear bottle at the store. A honey bottling company headquartered in Onsted, Mich., was recently fined by the federal government for selling transshipped, mislabeled Chinese honey during a federal investigation that was called “Operation Honeygate.” Groeb Farms, now called Natural American Foods, paid a $2 million fine. The company said the executives responsible were no longer with the company. However, many local West Michigan beekeepers say the case points to a larger problem. 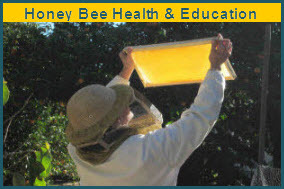 Research at Texas A&M University shows that most honey labels aren’t telling the truth, and 75% of the honey in the U.S. is not what it says it is on the label. And this could apply to as much as 90% of the nation’s honey, according to lead federal honey investigator. That’s where Dr. Vaughn Bryant comes into the picture. Dr. Bryant says pollen is so unique in all the different plants worldwide, it can be used as a fingerprint. In his lab, he can uncover a honey’s unique “pollen print,” which reveals where it’s from. Bryant keeps an enormous library of pollen in the lab to compare with others and unravel the mystery of a honey’s source. “We have 20,000 different types,” he said. “When we look at a honey sample and we find certain kinds of plants, like say palm trees, we know we’re dealing in the tropics,” said Bryant. FOX 17 wanted to know where some of the honey that sits on your West Michigan grocery store shelves comes from, because sometimes the labels just aren’t that clear, according to Bryant. So, we took some samples and and sent them to Texas A&M University. Our five samples included a bottle from the company formerly known as Groeb Farms, Honey Tree’s Michigan Great Lakes Raw Honey, Organic Rainforest honey, plus a Meijer brand and a Spartan brand. We can’t say for sure what’s happening with our samples. Bryant points out in past cases of illegal honey shipping, unscrupulous honey dealers have filtered out the pollen on purpose so illegally shipped honey can come into the country untraceable to its source. “The United States does not have any affecting labeling laws,” said Bryant. “What we really need to do is get our federal government to start policing this whole thing,” said Bryant. 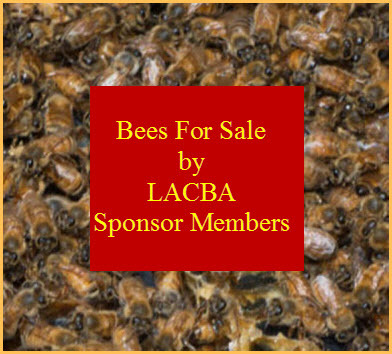 A trade bill in the U.S. Senate, 662, would help the government better police honey coming into the country, but it is still in the finance committee, . Michigan Senator Debbie Stabenow sits on that committee. FOX 17 put a call into her office to see if she is supporting the legislation. No official word back as of newstime Tuesday.